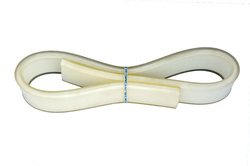 Our range of products include abrasive sleeve, anti cutting sleeve, beam clamp and polyester lifting belt. We are a company which is well known in the market for the manufacture and the supply of a wide range of Abrasive Sleeves which are used for protecting the belts from any kind of cutting because of the sharp edges of the loads and due to the wear and tear caused on them due to friction. 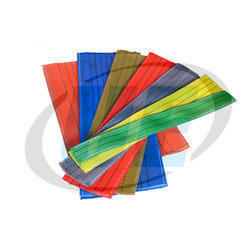 We are the prominent company in offering Anti Cutting Sleeve to our clients. This product is engineered by employing unmatched quality components and following world class standard. We are an acclaimed name to offer a wide range of quality proven Beam Clamps. Offered product is design and manufactured using optimum quality materials and highly advanced technology to meet the international quality standards. 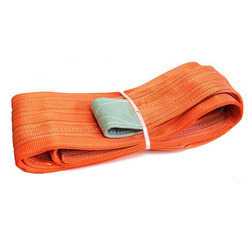 We supplying best excellent quality of lifting and lashing belts, which are completely durable and long lasting. These lifting and lashing belts have replaced traditional methods of tying down loads for transporting, shifting or moving.